Hi HH & OCS Peeps! 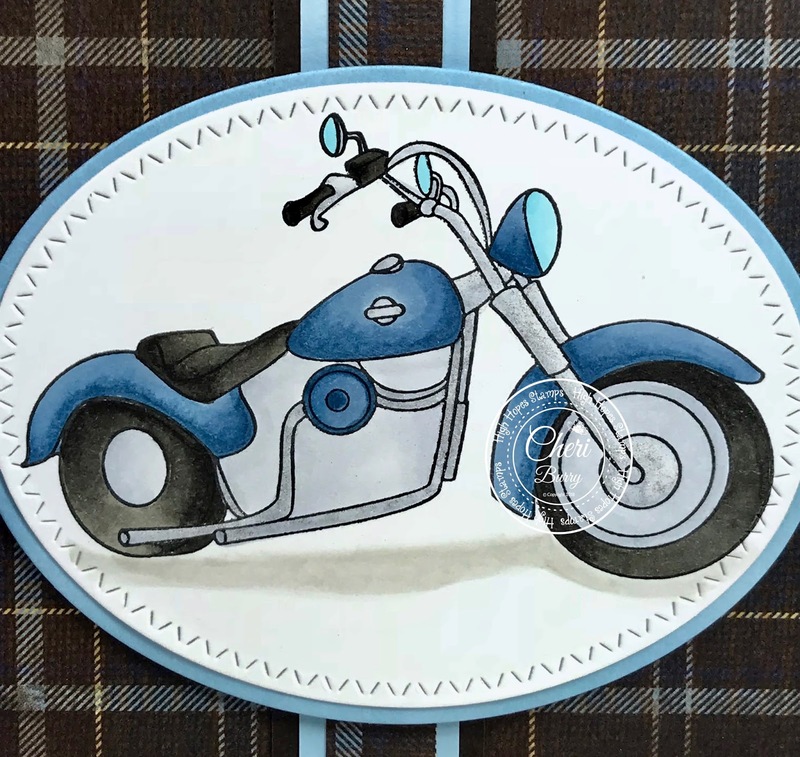 Hubby has a Harley and it just happens to be blue....go figure LOL! I knew when I saw this "Harley" stamp from the new "Modes of Transportation" over at High Hopes Stamps, it would have to be coloured blue! 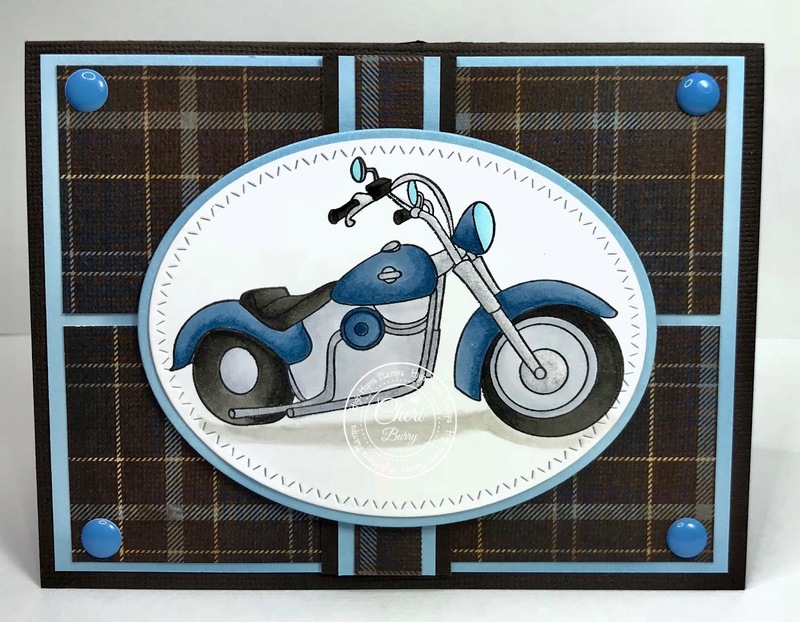 I love the brown plaid paper with the hint of blue, it just fit my card perfectly! A few enamel dots was all it needed to be considered finished. 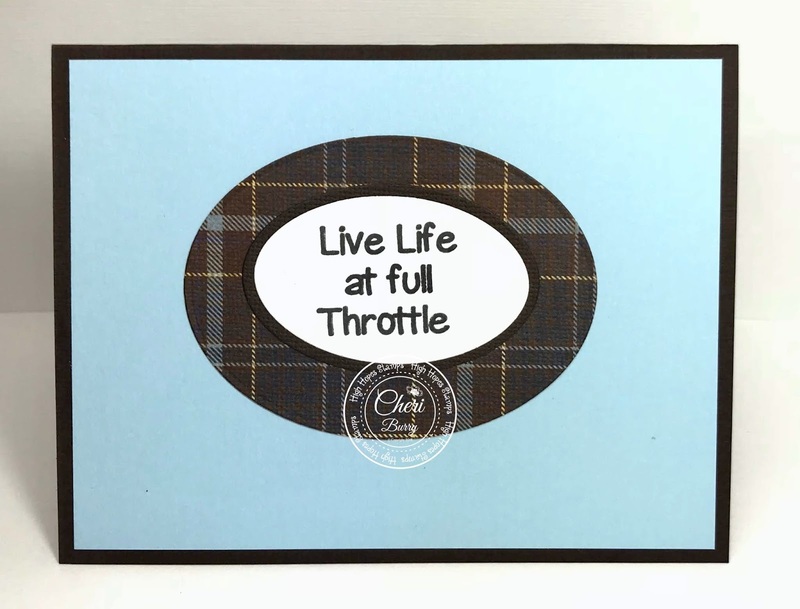 I love this sentiment called "Live Life" but if I catch Hubby driving "full throttle" he's gonna be in some hot water LOL. The Design teams over at High Hopes and One Crazy Stamper have been creating awesome cards with the New Release! Make sure you visit the Blogs to be inspired!